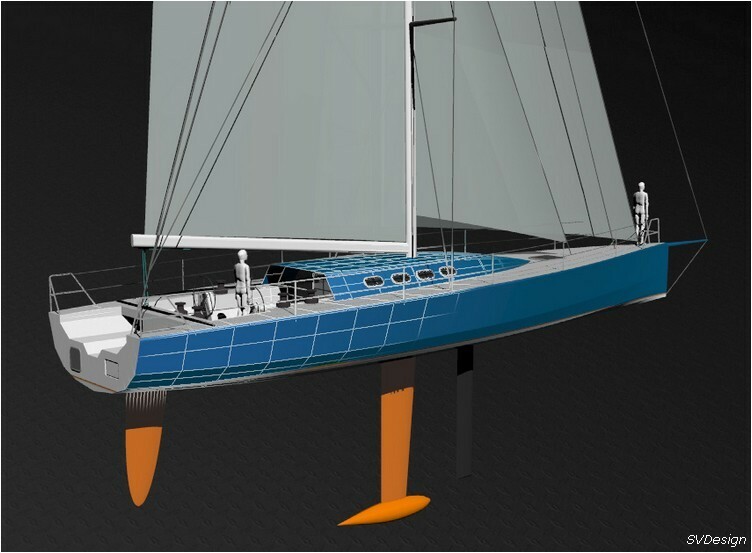 MK-I project was design in an ecomic way for a Open 60 monohull. 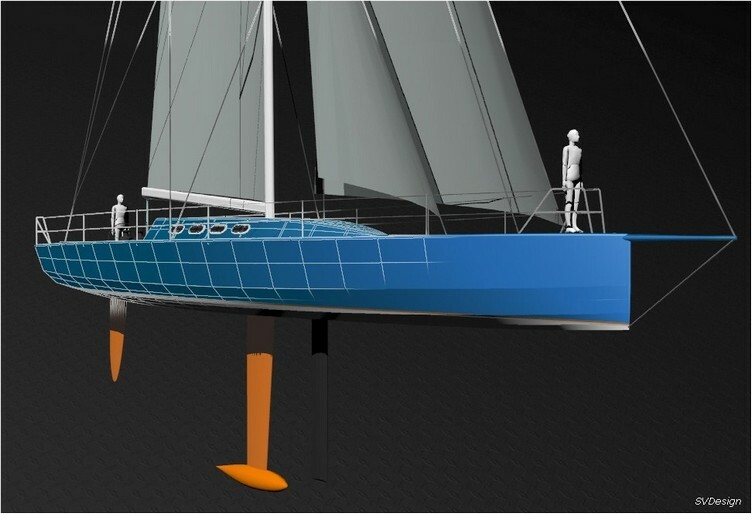 Hull is design with moderated power but homogeneous performance, which can be interesting in a Round-the-world race. 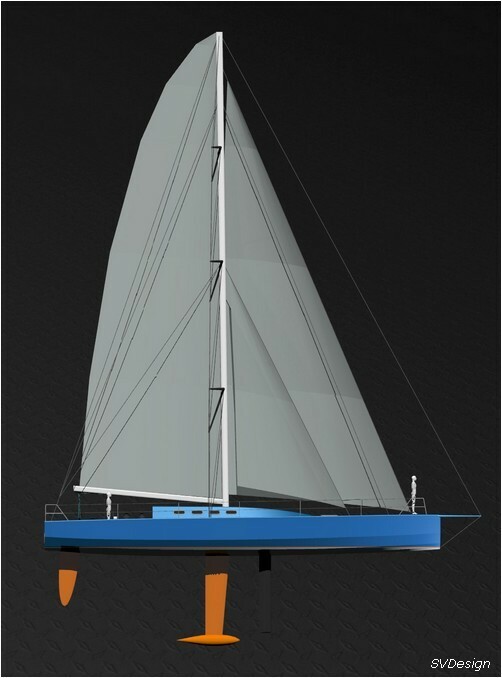 The keel is fixed, but side and central water ballast are fitted. A long dagger board allows fine adjustment of dynamic balance of the ship during various wind conditions on a world race. This moderated power of the ship is preserving the skipper but also equipment and sails. We can expect significant savings for ship building and maintenance. Hard chines are generating savings also for building, with a possibility to use several materials according to financial condition of the team. When accurately designed, hard chines are also procuring an interesting performance on hydrodynamic stability of the ship, allowing a reduction of appendages areas and a optimisation of wetted area of the ship. If you want further information on the ship, don't hesitate to contact me.